Kindness comes in all shapes and forms, and in celebration of Random Acts of Kindness Day on Sunday, Feb. 17, Michaels hopes to inspire customers to participate by giving away more than $100,000 in gift cards at its nearly 1,100 U.S. and Canada stores. This is the second year Michaels will randomly hand out free gift cards in its stores in observance of the international holiday. Gift card recipients will be encouraged to "craft it forward" and exhibit their own random act of kindness towards another person. 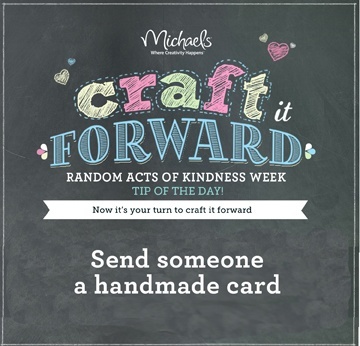 This year, the craft store is celebrating throughout Random Acts of Kindness Week, Feb. 11-17, by asking customers to share their own random acts of kindness on the Michaels Facebook page and to use the hashtag #RAOKDIY when sharing on Twitter and Instagram. "We've heard wonderful stories from our customers and store associates about how inspired they were by the giveaway last year," said Michaels Chief Marketing Officer Paula Puleo . "This year, we've asked our customers to share their stories on Facebook, Instagram and Twitter so they might inspire others to embrace the spirit of Random Acts of Kindness Week." Customers who want to "craft it forward" can find inspiration for Random Acts of Kindness projects to give to others on the Michaels Random Acts of Kindness Pinterest board. Random Acts of Kindness Day was created by the Random Acts of Kindness Foundation, an internationally recognized nonprofit organization based upon the powerful belief in kindness, and dedicated to providing resources and tools that encourage acts of kindness. Need more ideas? 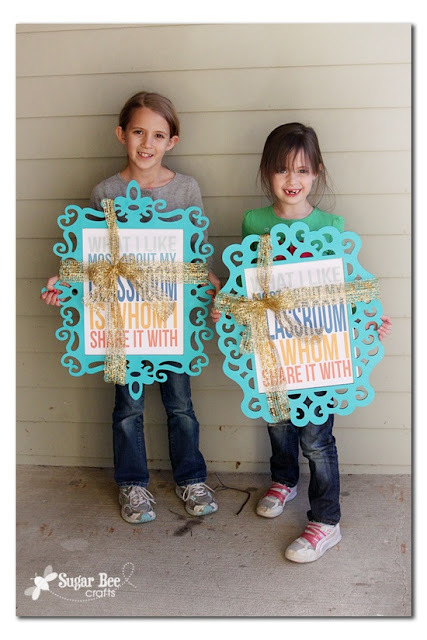 Go to our Pinterest board and start pinning! *Photo by Sugar Bee Craft. I received a Random Act of Kindness and I plan to "Craft it Forward" by participating in "Cards for Troops" again this year with my Bank associates and with my Cards4Causes small group. Last year we, on a very short timeline, made over two hundred cards for donating to help show appreciation to our troops. We signed them, and we had Bank customers and congregation members sign them too. Everyone enjoyed the project. My sister in Oregon and some of her friends joined in too. This year we will craft handmade cards with greetings to send to our troops and we plan to craft another card that coordinates and tuck in in the one we are sending the soldier. This one will be for him or her to send to someone of their choice. Thank you Michaels for the Gift Card I will use to help fund the project and for all you do to "Craft it Forward". P.S. Cards4Causes, our small group uses its proceeds to fund special projects in our church and community and we also contribute cash to our local food pantry.